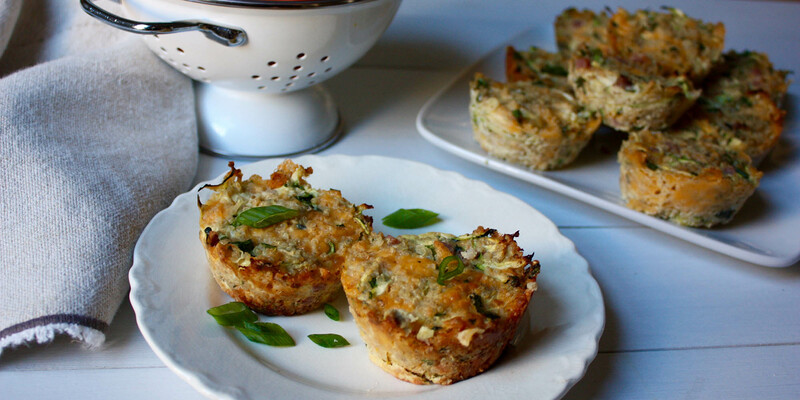 When we first had the idea to make quinoa breakfast cups, we thought they’d taste really good — but we were wrong. 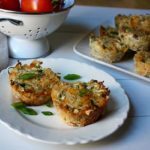 Quinoa breakfast cups taste amazing! This grab-and-go, savory breakfast has just the right amount of ham and sharp cheddar cheese to be packed with flavor but stay low in calories. They are fantastic for meal prep and they reheat well in a microwave or toaster oven. Pro tip: For meatier chunks of ham, ask your grocer to cut a single thick slice of deli ham that you can cut into cubes. Any good quality sliced ham or Canadian bacon will work. For this egg cups, we combined cheese, ham, and quinoa for a meal that will help keep you going until lunch! Lightly coat two regular twelve-cup muffin tins with spray. Set aside. Combine quinoa, eggs, egg whites, zucchini, cheddar cheese, Parmesan cheese, ham, parsley, and green onions in a large bowl; mix well. Season with salt and pepper, if desired. Evenly pour quinoa mixture into muffin cups. Bake for 12 to 15 minutes, or until a toothpick inserted into the center of cups comes out clean.